Sony Xperia phones are my favorite. Very good and durable electronics, amazing photo camera, nice utilities on top of standard Google Android OS. I have also always respected Xperia for allowing users to unlock their phones for Open-Source Firmware Customization on this amazing hardware.. Unfortunately, Sony seems to have this habit to make a bad decisions, so amazing hardware is not always followed with a good software. This is why Open-Source Customization is so important. I have already found several nice devices with a really bad firmware. 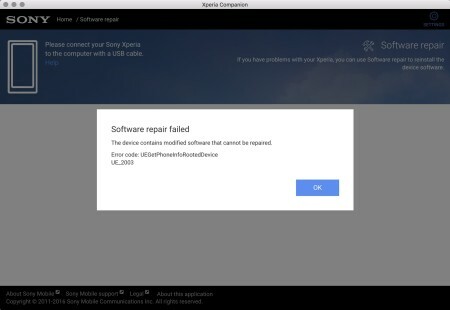 What is more, this corruption seems to spread, and Sony blocks factory firmware restore for an unlocked devices with their official Xperia Companion utility. This means unlocking a device does not only Voids a Warranty, but also silently makes it Impossible to Go Back to a Stock Firmware! This is really bad idea. Luckily smart people tends to predict and help each other out. 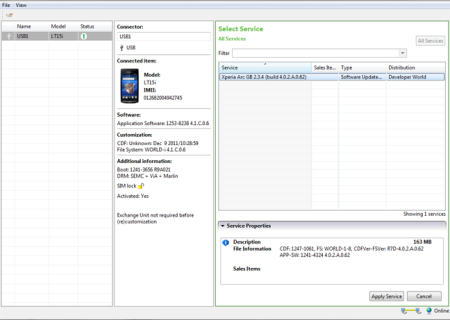 Developer team of Sony Mobile released EMMA utility (nice name by the way) that allows you to re-flash mobile that is unlocked in case something goes wrong or you simply want to get back to a stock firmware. Open-Source Firmware Customization will become a standard, even for large enterprises, with mutual benefit to their customers, because looking at the big picture we are part of the same eco(no)system.. Categories: bugs , DIY (Do It Yourself) , electronics , FAQ , hall of shame , hardware , mobile , modifications , software | Tags: firmware, flash, repair, restore, sony, unlock, xperia | By: Tomek Cedro.